As one of the top choices for boiler servicing in Sunderland and the neighbouring cities, Eco Efficient ideal for homeowners who require boiler servicing and inspection. From our offices here in Sunderland, we have managed to service thousands of boilers across the northeast region. With each new client getting satisfied with our services, our fame continues to rise and we continue to win more clients to our side. Our professional boiler servicing is a good way of helping our customers save money which is a good thing, isn't it? With many decades of experience from working in a competitive industry, Eco Efficient fully understand the complex framework of all big boiler brand systems. Our fully qualified engineers can successfully service your boiler and make sure that it is performing efficiently as expected. They can also make the necessary boiler repairs as well as boiler installations where necessary. Working with such qualified individuals enhances your chances of getting the best services and saving your money in the long run. Most people wonder if they really need boiler servicing. Well, the answer to whether you need boiler servicing or not depends on how long you have had your boiler and how it is currently performing. If your boiler has been in use for a long time, instance, more than ten months, then, it requires servicing. Note that as you continue using your boiler, increase the chances of some of the boiler components getting affected by tear and wear. This means that you need an expert to help you determine if the component needs to be replaced or repaired. 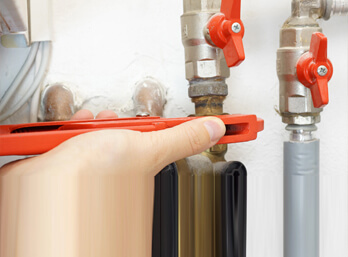 According to experts, regular boiler servicing is extremely important. When we say regular servicing we don't mean weekly servicing or monthly servicing. In fact, is advisable to get to a boiler serviced once every year by a professional to ensure that it is operating efficiently and can help you save money by reducing the expenses associated with energy and heating. According to the legal requirements that govern the boiler installation as well as the central heating installation in the United Kingdom, these tasks should be completed by a professional engineer. That means gone are the days when people used to call just anyone who can install a boiler to complete the task. Keep in mind that poor boiler installation can result in a series of problems that tend to affect boilers and central heating. To prevent that, you need to hire a professional engineer who understands every step in the process of installing a boiler. Eco Efficient offers the best boiler installation in Sunderland and the nearby regions. The moment you notice that your boiler is malfunctioning you shouldn't get worried. This is because, at Eco Efficient, we respond to emergency boiler requests promptly. As soon as you call us, send a team of qualified engineers to diagnose the problem with your boiler and they fix it as soon as they can. Thus, you can be assured of a continuous supply of hot water and a comfortable warm home. Installing a central system successfully isn’t a simple task. It requires expertise as well as special tools and equipment. That means it’s not easy for a just any person to undertake the process of installing a central heating system. 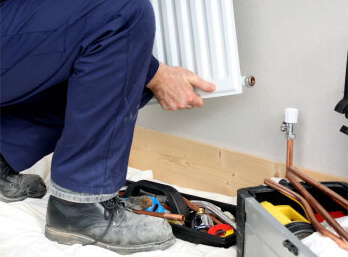 At Eco Efficient, we have the necessary expertise and equipment to allow our engineers complete the central heating installation process successfully. Even the strongest central heating systems may develop issues at one point in time. While regular check-ups and proper maintenance lowers the probability of a central heating developing a problem, it doesn’t mean the system will never develop a problem. However, we can make it easier for you to respond to the challenges associated with central heating. 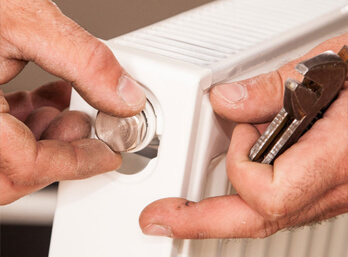 At Eco Efficient, we have engineers who perfectly comprehend how central heating works, can diagnose any possible problem, and repair the faulty part within the shortest time possible. One of the most frustrating things is a gas leak at home. In addition to worrying about the repair expenses, you also tend to worry about possible explosions if the flammable gas gets exposed to fire or spark. However, at Eco Efficient, we advise our clients to shut down the gas main valve and open windows and doors. Don’t forget to request help from our professional engineers. At Eco Efficient, we respond promptly to gas leak requests as well as other services requests.